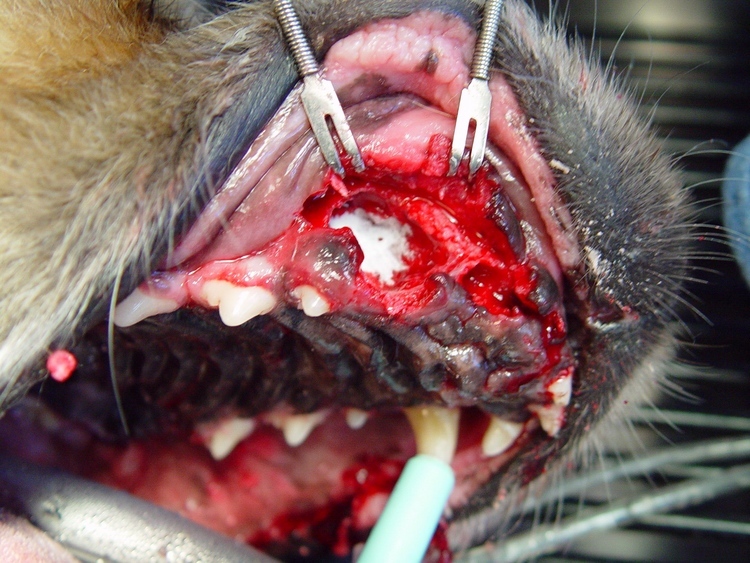 Rosie an 11 year old Shepherd was presented with a fractured canine, gingival edema and deep palatal infrabony pockets. Her appetite was poor and she was in obvious discomfort. 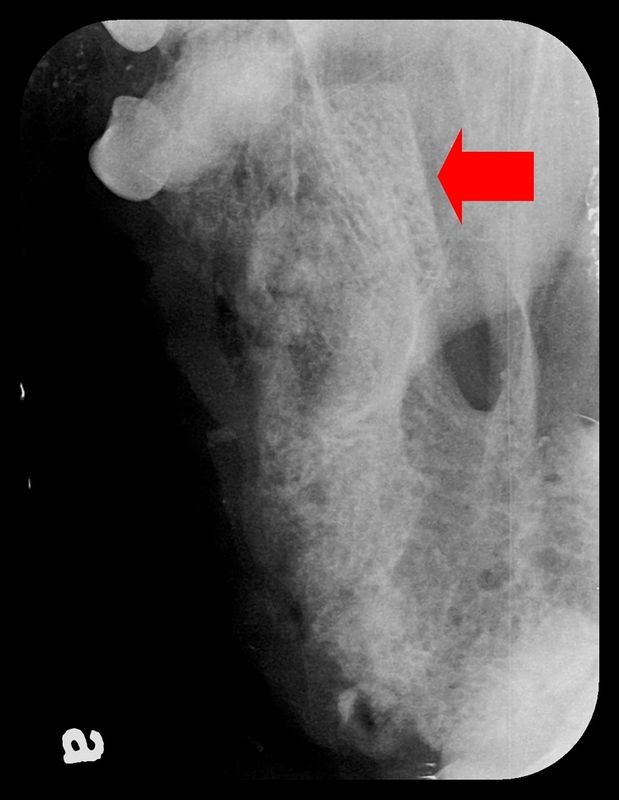 The pre-op dental digital images showed bone loss resulting from necrosis of the supporting bone. 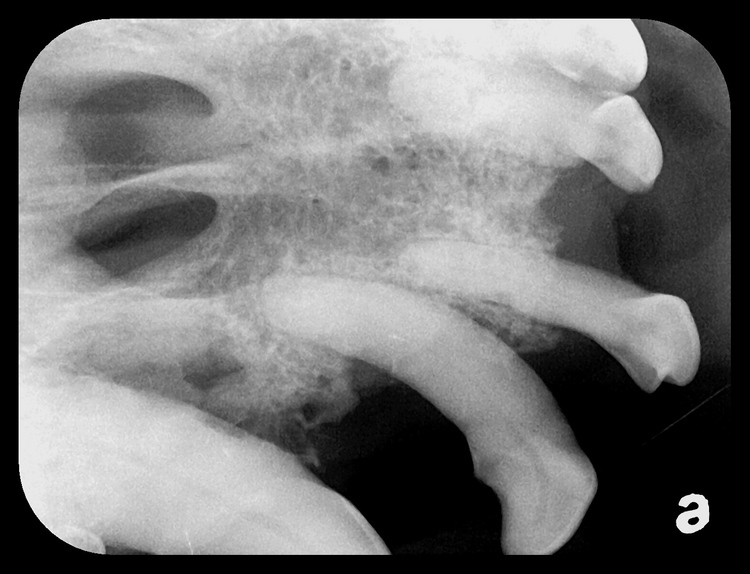 Note: the oral-nasal sinus connection in the digital xray. 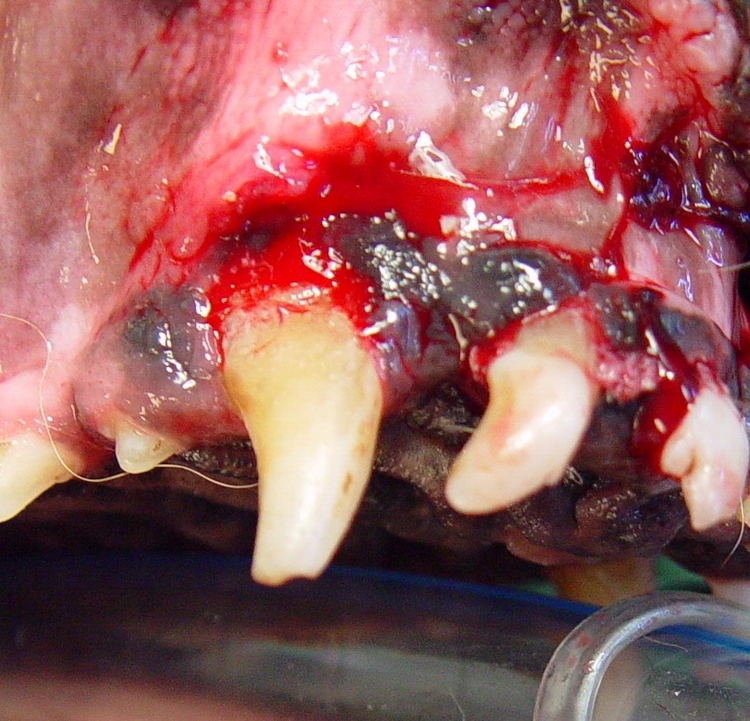 The extensive damage to the alveolar bone could be seen after the affected teeth were surgically extracted and the inflammatory tissue removed from the socket. In addition, there was a communication defect between the oral cavity and the nasal sinus. The aveolar nasal defect was repaired with a flexible laminar bone graft. 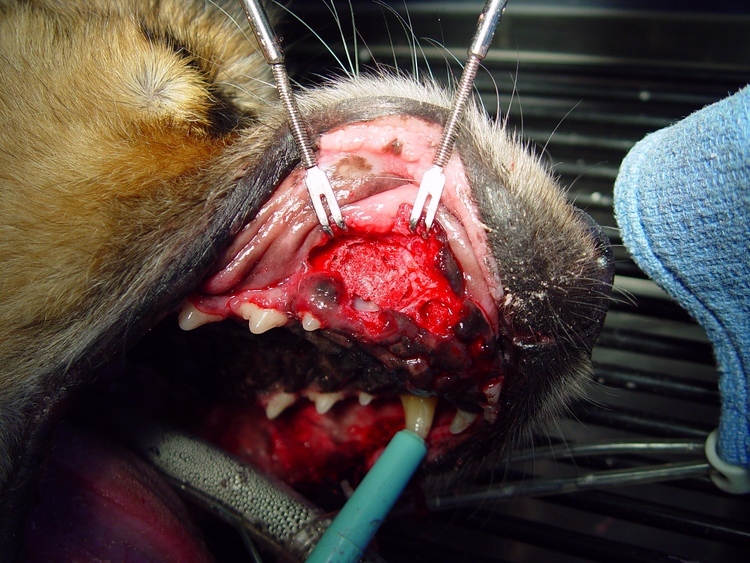 The area was then sprinkled with ACell Powder to accelerate tissue regeneration. 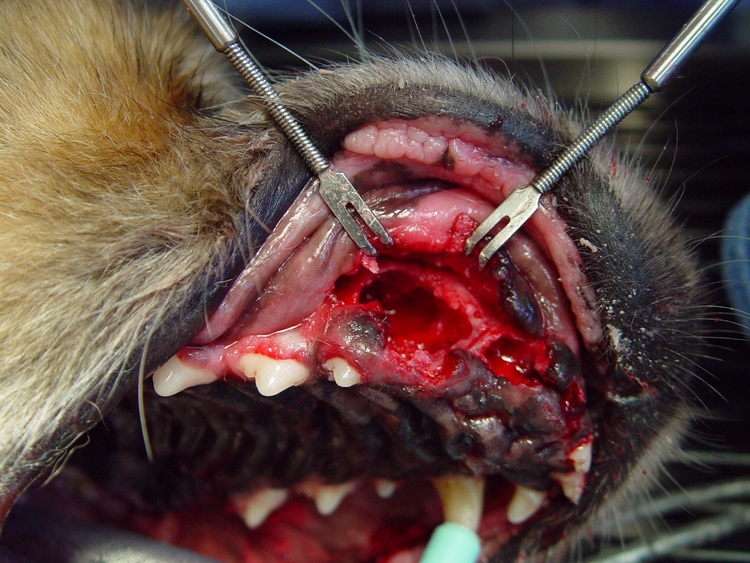 The large extraction site is filled with a Cancellous Bone Block (allograft) from VTS. 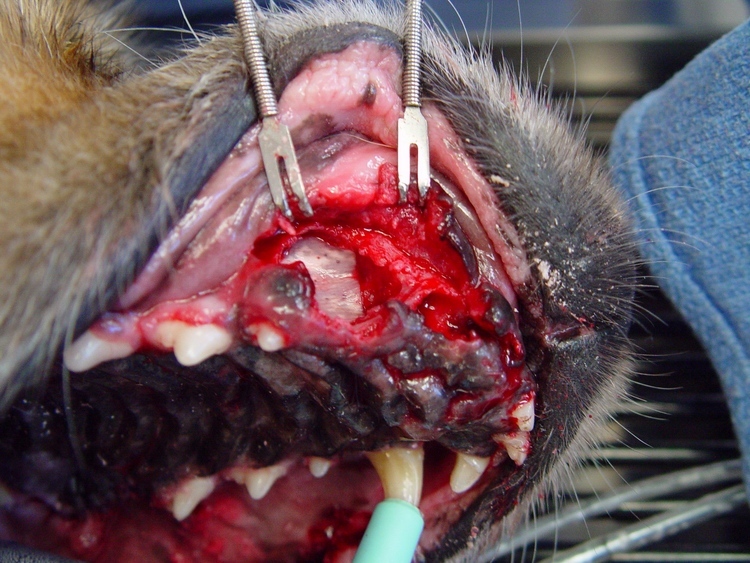 This type of graft will lend support to the large bony defect. 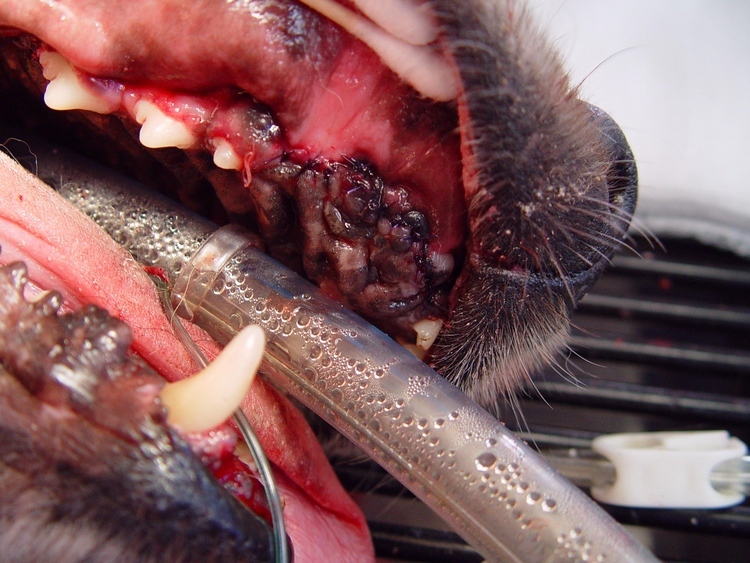 Particulate allograft is added to fill the coronal and apical voids giving a total fill to the defect. 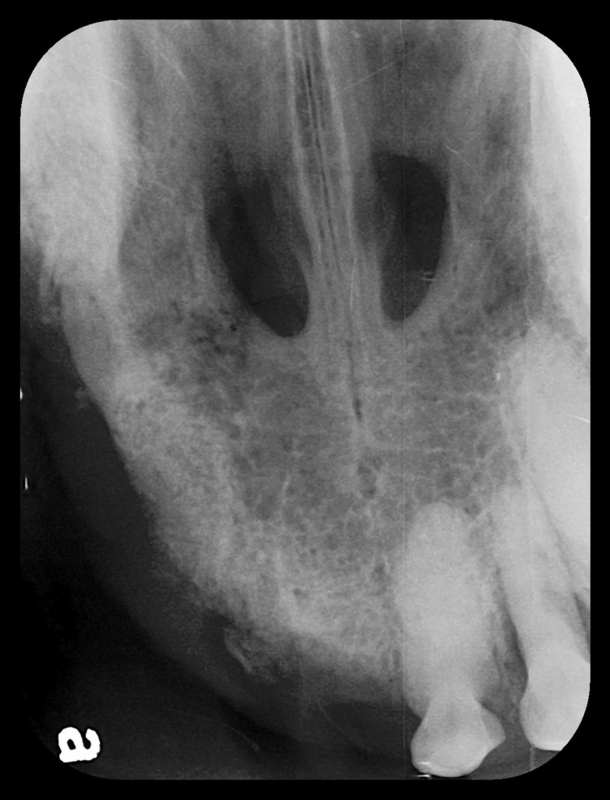 The margins of the cancellous block, surrounded by the particulate graft, are seen in the post op dental digital images. 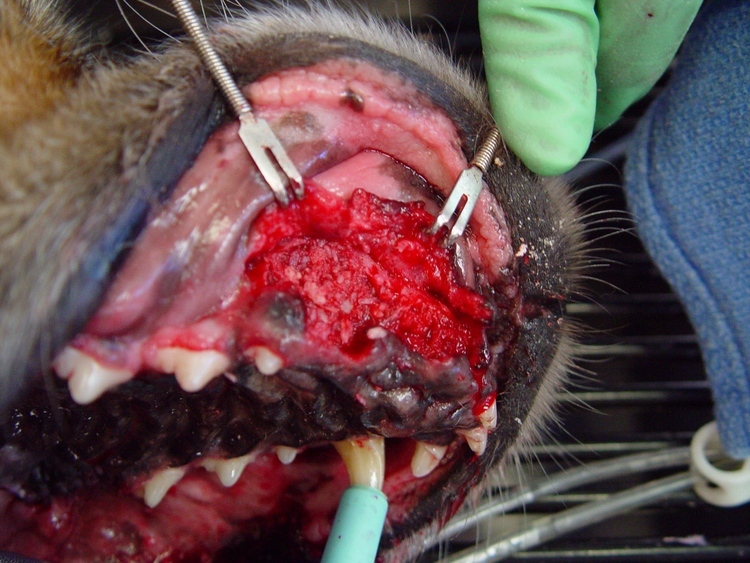 The gingival flap is sutured closed. 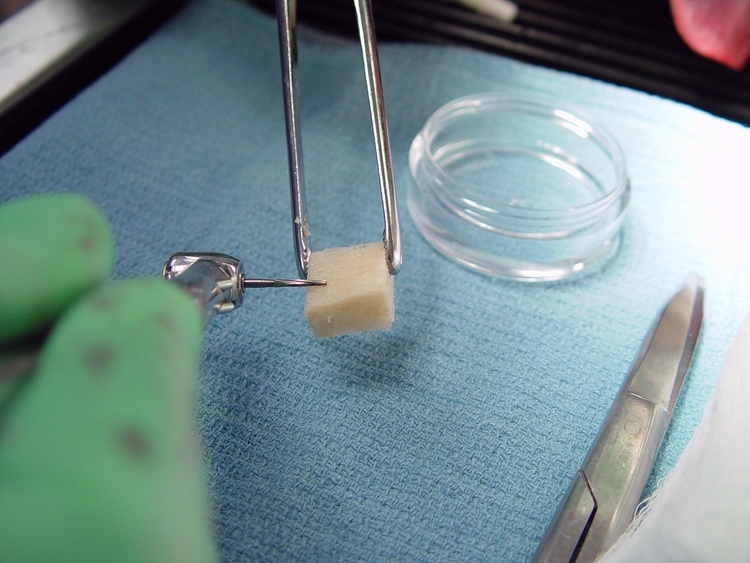 The four week post surgical dental image demonstrates the allograft fully integrated into the host bone. The resulting bone density has significantly improved.